‘FIRST IMPRESSIONS LAST’ … How does the entrance to your village, town or city impress the traveller as they approach ? Beautiful cast signs depicting some interesting aspect of the place they are about to enter can make the difference. We have been manufacturing “Welcome to” or Boundary signs for nearly 30 years and they are to be found all over the country. See our Google Maps tab to see if there are any near you. 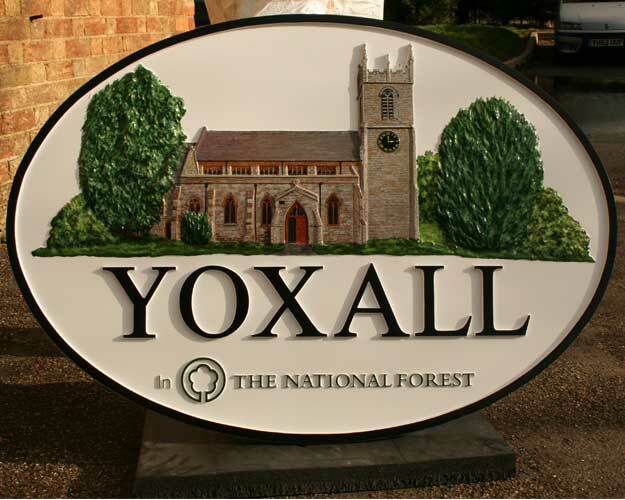 The majority of Boundary or Gateway signs we manufacture are cast in a solid rigid polyurethane. See our cast study written for us by Bournemouth Borough Council whose signs were made about 20 years ago and still work very well. Cast signs are supplied in almost any size and shape. The domed rectangle is a popular shape with a coat of arms or a local point of interest featured in the dome. Letters, borders, logos, motifs and complicated coats of arms are all realised in relief. Background colours are spray finished and the relief detail is all hand painted by our talented artists. Clients are encouraged to send us any artwork, size and shape details at an early stage so that we can quote accurately and assist in the design. 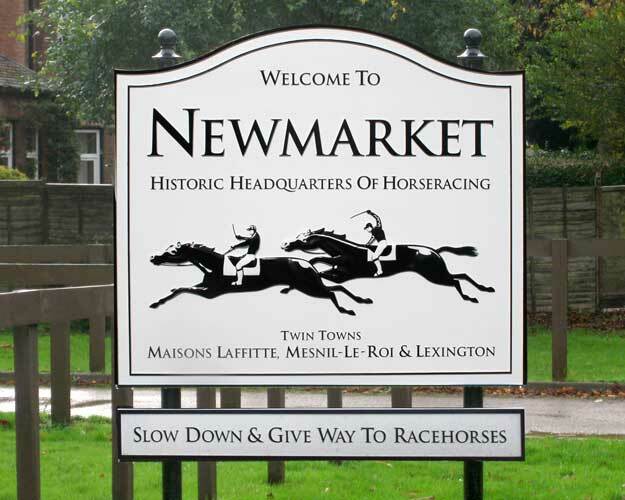 Signs can be single or double sided, and curved to fit concave or convex walls. They can be drilled for wall fixing or we can supply posts, complete with all fixings.